Get on-target fast, no matter the conditions! 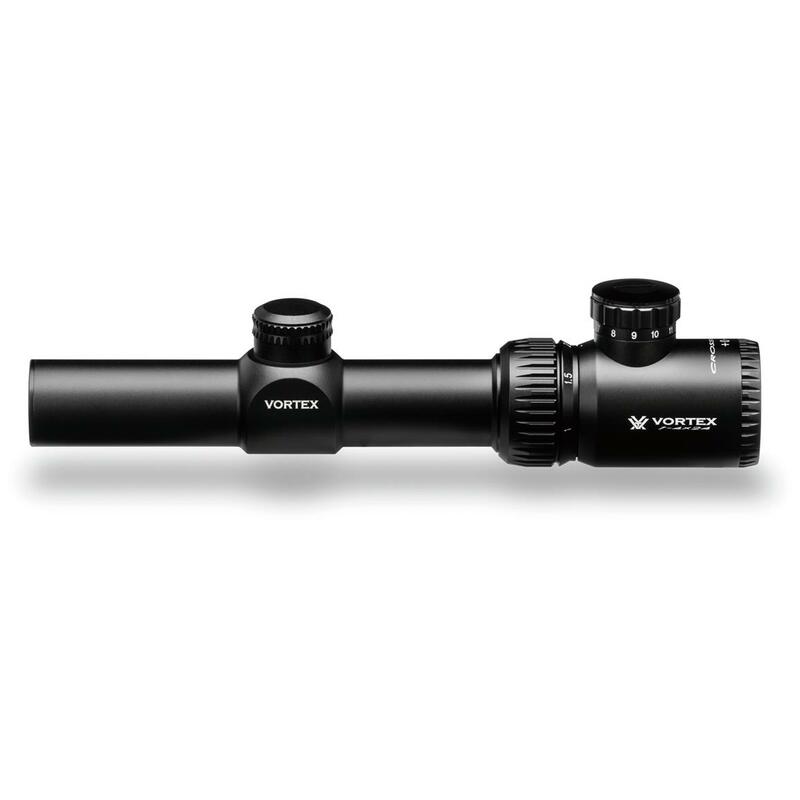 The Vortex® Crossfire II 1-4x24mm Rifle Scope with V-Brite illuminated reticle gives you the confidence to line-up targets with ultimate quickness and precision in low light and heavy cover. 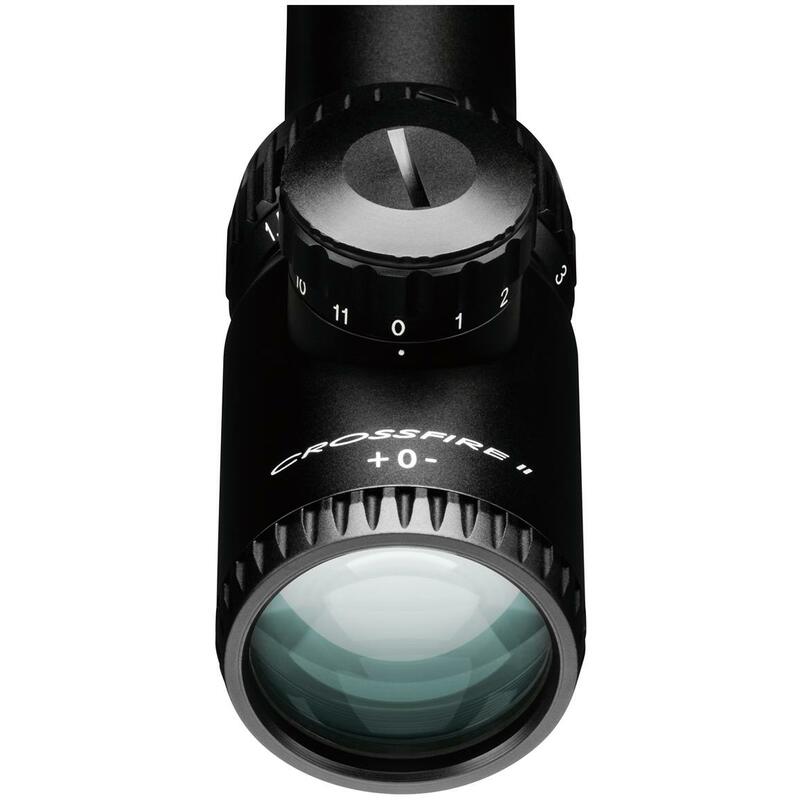 And, like all Crossfire II Scopes, the Crossfire II 1-4x24mm is loaded with top-quality features that make it an exceptional value. Fully multi-coated lenses. Clear, bright images. Long eye relief. Fast focus eyepiece. Resettable MOA turrets. Rugged construction that's fully waterproof, fogproof and shockproof. Plus, it's backed by the Vortex® VIP unconditional lifetime warranty. It's everything you want in a rifle scope. At a price that hits the bullseye. 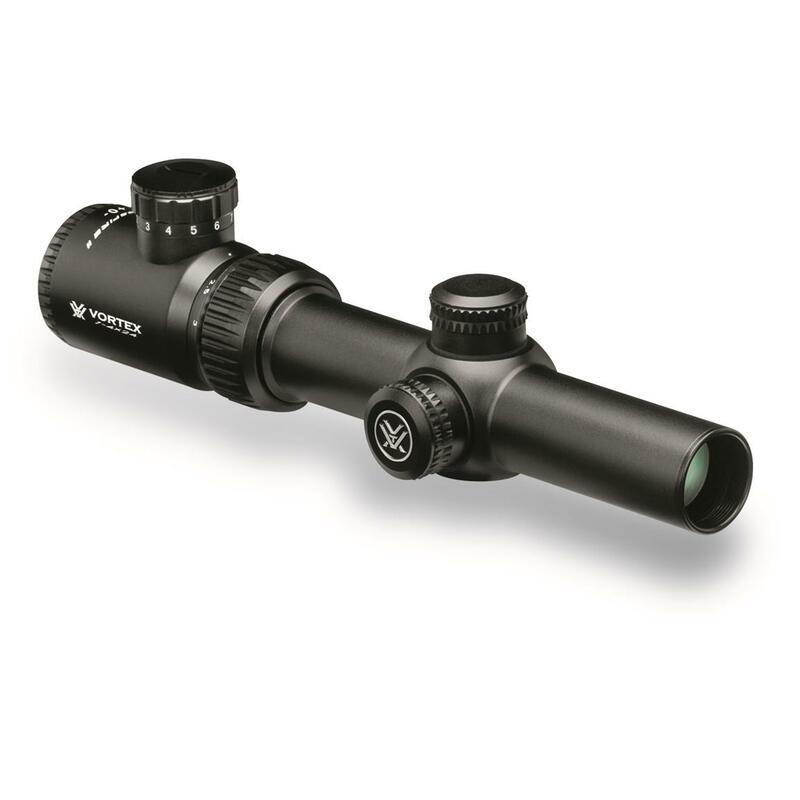 Vortex Crossfire II, 1-4x24mm, V-Brite (MOA), Rifle Scope is rated 4.7 out of 5 by 29. Rated 5 out of 5 by Turdigans from Great budget AR9 optic Got this for a swell deal last New Years Day from Cabelas. Holds true, sits nice on top of an ar9, and performs flawlessly. It's optic range is a nice addition. Especially on a 9mm build. Rated 5 out of 5 by Dwilson from Bought 2 months ago Love this on my 22. 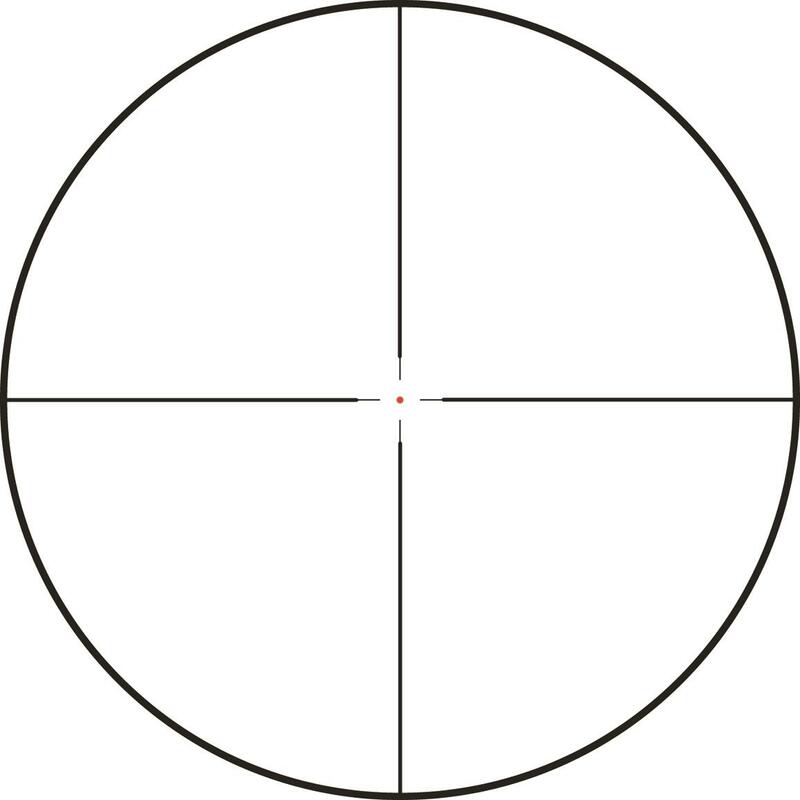 Holds accurate ant reticle is perfect for my uses. 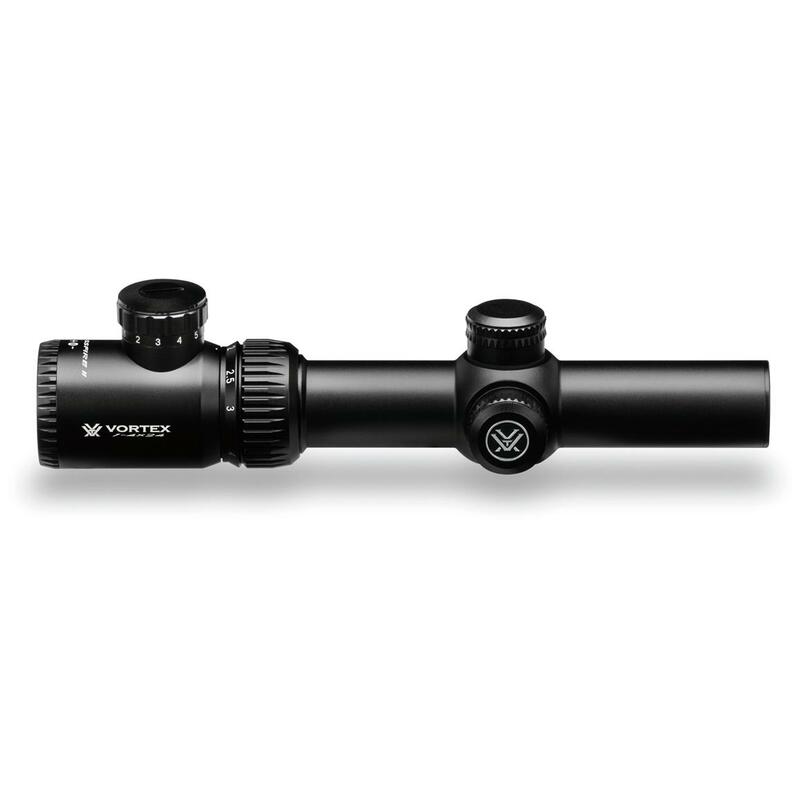 Rated 5 out of 5 by Chase1904` from Perfect for an AR in any caliber Great value low power scope for AR's or scout rifles. Very clear and adjustments are easy. I use this on my AR-15 rifle in 5.56, and plan on getting another Crossfire II 1-4 or a Strike Eagle 1-6 for my 300 BLK pistol. Rated 5 out of 5 by CharlieJoe1983 from Compact Size My first Vortex purchase and haven’t regretted it. Looked at it in store I purchased my first AR (300 BlkOut) and they highly recommended it for my gun. I wanted to do my homework first, so I read reviews, watched YouTube videos, asked friends, talked to other gun stores. Everyone I talked too said it was perfect for what I had planned for my first AR. So it was on order along with the Vortex 30mm cantilever mount. After a bore sighting, I hit the lock range. Probably the first underground 100 yard range, after 2 shots bulls eye. Vortex was part of many first for me, my first AR, first experience shooting in a underground 100 yard (tunnel) range with my Crossfire II. Rated 5 out of 5 by WillM from Great budget AR optic I recently mounted this scope on one of my AR-15 and it is fantastic! Holds a zero with out fail. The illuminated reticle really comes in handy in low light hog and predator hunting situations. Only complaint is that there is a slight distortion around the edge at the 1x magnification, but not enough to mess with performance. Rated 5 out of 5 by CalebD from Awesome quality! I mounted the Crossfire II 1-4 on my AK. 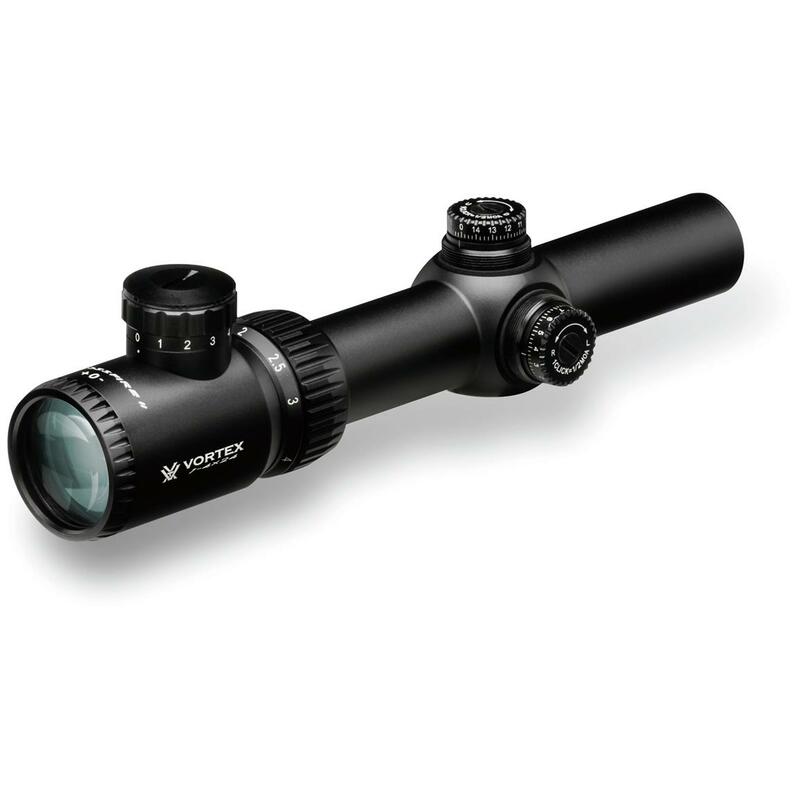 The scope is precise to adjust, holds zero and extremely clear. Great scope for the money! Rated 5 out of 5 by G2buck from Coyote Killer I bought this scope for my stag arms ar and absolutely love it! It allows you to keep the advantage on the very unpredictable coyote. Whether they charge in or hold up this scope has you covered! 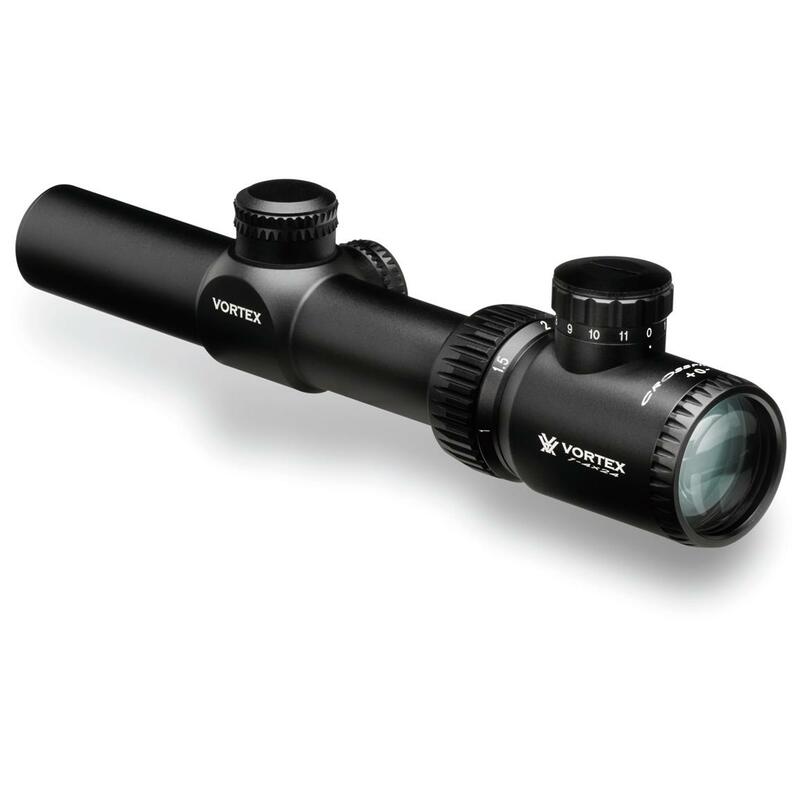 Feel very comfortable from 0-150 yards with this scope! Custom-designed for precise long-range shooting!